Children Dental Care: Child Dental Benefits Schedule Extended In 2017! Every parent wants their child to be happy and healthy, and healthy children are one of the keys to our future. Dental health is one of the key aspects of keeping children healthy. And when it comes to dental health, the formative years in a child’s life can be critically important in supporting a high level of oral hygiene and establishing good oral care habits. This is why it is so important that the Child Dental Benefits Schedule (CDBS), which protects some 3 million Australian Children, has been extended for 2017. And here at United Smiles, we are happy to support you and your children, by offering services under the CDBS! There are some changes to the program, so we invite you to read the information below, then contact us to build a partnership for our children’s oral health! The Australian Dental Association (ADA) has always maintained that the CDBS is the best preventative dental program for Australian children. Without it, the dental health of our children, particularly from disadvantaged groups and those living in rural and remote areas, is in on the line. What is Dental Services are Included? Some services are not covered by the CDBS, including orthodontic procedures, cosmetic treatments, and procedures that are performed in hospitals. For more information you may contact Medicare on 132 0111, or Centrelink on 134 150. Keep your Children and Family Dentally Healthy with United Smiles! United Smiles is conveniently located in the heart of Mernda Village, serving patients from all Melbourne areas. Our office has ample parking at the rear of the building. Wheelchair access is also available at the front of the building. Our promise to you, your children, and family, is appropriate, economical dental treatment. 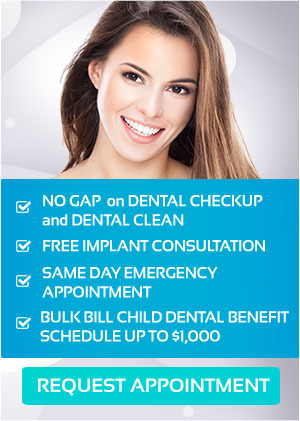 Is your child qualified for Child Dental Benefits Schedule? Then contact us on (03) 8682 8658 or book your appointment online today! Child Dental Benefits Schedule MerndaChildren Dental Care: Child Dental Benefits Schedule Extended In 2017!